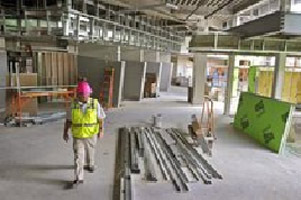 The Coulee Medical Center is a new 69,000 square-foot, $25 million dollar project that broke ground in August of 2009. Specific special inspections on this project have included soil and asphalt density testing, structural steel and high-strength bolting, fireproofing, reinforced concrete and masonry and epoxy bolts. This facility will house 25-beds and an outpatient clinic and is expected to be a showpiece of rural health care.